Julia says so. Politicians insist. Even former prime minister Paul ”you scumbags” Keating claims it’s time for Australia to embrace Asia. Unfortunately, we’re a little stumped to know how to do this exactly, as so few of them seem to play football or cricket. Top marks to India, Pakistan and Sri Lanka, of course. But China is a problem. If only China played cricket, we’d get on like a house on fire. Why can’t Indonesians play more tennis? Why can’t Filipinos play, say, lawn bowls? We Aussies aren’t that fussy. We’ll watch any sport. As for Afghanistan, we can’t even spell it, let alone find it on a map. 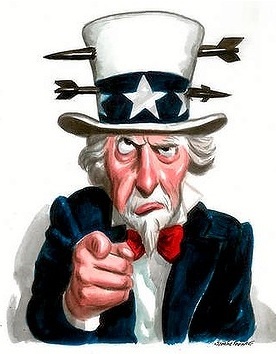 This entry was posted in Articles and tagged All the Way with Uncle Sam, Goodbye America, Goodbye Uncle Sam, Kerry Cue Blog, Kerry Cue Canberra Times, Kerry Cue comment, Kerry Cue Talks, Kerry Cue Workshops by Kerry Cue. Bookmark the permalink.